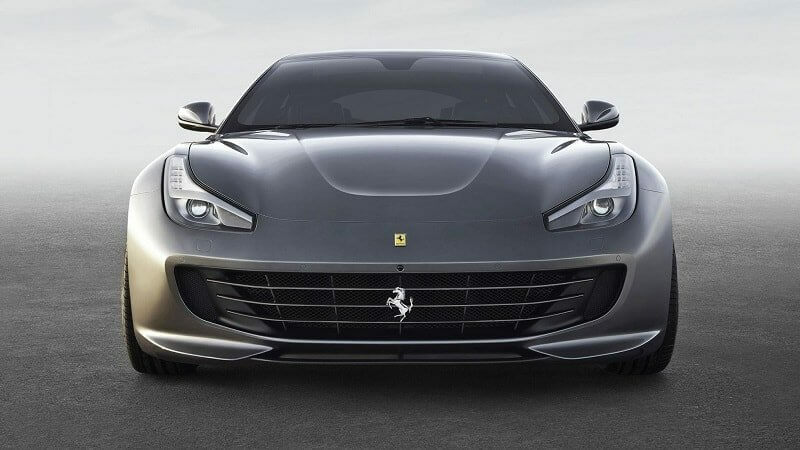 The name’s Ferrari GTC4 LUSSO and is a strong spec Geneva reveal for the Ferrari’s 335kph FF facelift. This may be the last naturally aspirated Ferrari GT that seems sonorous. It’s not a big change, the profile is the same, but with a positive change. The FF accommodates 4 people and lots of luggage easily, and so shall its GTC4 Lusso replacement. The little or big tweaks that have been made are very successful. The new grille yields cooling, the subtle roof spoiler adds aero and the return to the double-ring rear lights suits it beautifully to the GTC4’s 456 ancestor. The car highlights all the current trending tech compilations of the Ferrari. It combines the FF’s 4-wheel drive with rear wheel steering as you’ll find it on the F12tdf while there is a new evolution of the Side Slip control that makes the 488GTB so aggressive. Besides the chassis, there is a new 10.2 inch HD touchscreen with CarPlay. The GTC4 is about 30bhp up on the FF with the 680bhp of net power. There’s an uplift in torque by a small margin, keeping with the grand touring vibe in its 697Nm, but to get that all amount of torque, you need to nudge about 6000 revs. Ferrari favourite magnetorheological dampers ensure that GTC4 is comfortable and sharp in togetherness. Seats sportingly seem to wrap around, which even rear passengers like. As per the sayings of Ferrari, the owners of FF travelled 30 percent more kilometres than drivers of its other models, and the 4 seater successor certainly appears to bear that in mind. Also, read on Ferrari LaFerrari hybrid supercar at Geneva Motor Show. The display right in front of your cocooned passengers is the only real fly in the ointment. Ferrari describes it as a “generous optional display with a plethora of functions”. One of these is a display of your revs, g-force, and speed. You’ll be happy to know its 1-100kph timing and that is a competitive 3.4 seconds. This article was published in Automobiles and tagged Ferrari, Sports Cars.